Minute program last Friday. 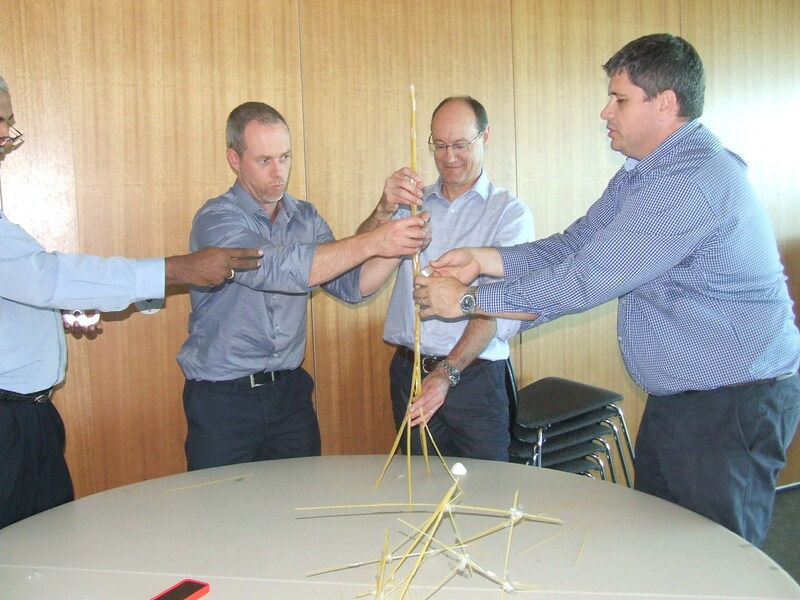 The delegates went head to head against the clock to complete the simple looking but challenging 60 second tasks. Some great shots and videos can be seen! Well done everybody and I’m sure you will enjoy the video. Thanks for having Total team Building be a part of your Xmas celebrations. The energetic team from JBA Digital enjoyed there team building event in Melbourne CBD last week. The 3 teams raced around the CBD collecting items, taking photos and competing team building activities as quickly as they could. There was one team at the end who showed dominance most of the day and claimed victory… Well done Pink Team. Thankyou Suncorp you have helped to enhance 7 children’s lives.. The team at Planisphere built 3 bikes for Mission Australia who gave them to some worthy recipients. The teams had to complete various challenges to earn the bike parts before building the bike themselves. A great day was had and everyone took something away with them. Well done team you did a great job and made a huge difference to someone else’s life. We would love to hear your thoughts on the day? The team from NAB on their team building afternoon built 4 bikes on their charity bike build event this week and donated them to Mission Australia who will pass on to 4 lucky children. The teams were challenged with some interesting team building tasks to earn the bike parts then to build the bikes from scratch. The bikes were at the end of the day in pretty good shape (although the red bike needed a little more mechanical adjustments than the others) but all were safe and well built prior to them going to their new home. It was a fun afternoon thanks NAB! We would love to hear NAB, What did you think of your bike building skills? The Team from Lucky Charm News agencies enjoyed a fast and furious Rat Race around Melbourne. The teams were given tasks to complete and race to the next checkpoint as quickly as they could. Chad challenged the teams with many tasks that kept them busy the whole time. At the end of the event we were left with a winning team, plenty of great photos and memories. Thanks again Lucky Charm… We hope you enjoyed your Rat race!